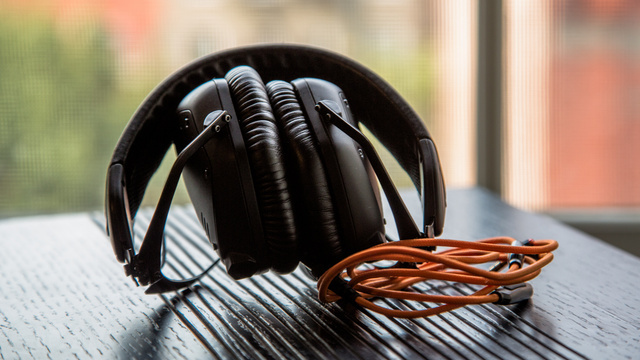 Editors note – the old sayin’ you get what you pay for, more often than not is summed up with a pair of headphones. 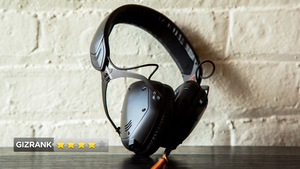 This pair of crossfades were reviewed by the lovely people over at Gizmodo, and the reviewer, obviously a headset nut! is considering swapping her 3 year old sets with a pair of these, now that’s endorsement! While all great headphones have personality, V-Moda’s new Crossfade M-100s are a rare breed. You’re either going to fall in love with their distinctive sound and roughneck build—or you’ll think they’re egregiously over the top. Over-ear headphones with big 50mm drivers. They meet US military specifications (MIL-STD-810) for resistance to drops, dust, and humidity. Discerning audio nerds who listen to music constantly, and are likely to beat the Kandahar out of their headphones in everyday life. Despite meeting military specifications, the Crossfade M-100s don’t look like standard issue grunt-wear. They have distinct hexagonal earcups, a handsome, brushed-steel finish, and cushy leather trim. The included detachable cables have in-line microphones. Plug the Crossfade M-100s into your music source of choice and let the Tempurpedic-like memory-foam-filled pads get cozy with your head. The headphones fold at steel hinges above the earcups. They collapse neatly with a stimulating click. Sonically and functionally all-purpose—for me at least. Everything sounds great on them. The $300 price tag will keep a lot of people from hearing them. If only the Crossfade M-100s cost $200, like V-Moda’s LP2s. As with many headphones, you can insert the cable into a jack on either the left or right earcup according to your preference. The Crossfade M-100s, however, are the only headphones we’ve seen that come with a microscopic plastic cork to plug up the hole you’re not using. Tested pretty much constantly over the last couple of weeks in the office, at home, as well as during daily commutes. We listened to every conceivable genre of popular music and the M-100s perform well in nearly all situations. Subtleties like plucked upright bass lines or high-end screeching guitar overdubs all cut through with impressive clarity. You wouldn’t want to use these headphones to mix a recording. The mids aren’t perfectly articulated the way the highs and lows are. The headphones capture all of the details of recordings, but they don’t sound as clear or flat as standard bearers like the Sennhesier HD 250s. Yup, the M-100s’ sound has color to it. That’s going to bother a lot of people, but we loved the tonal blend. 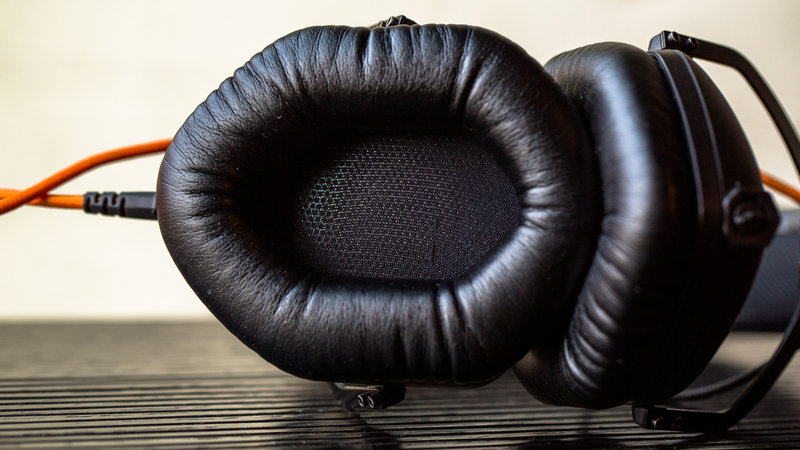 The Crossfade M-100s are incredibly comfortable. You can wear them for hours with zero strain. We tested the black-on-black version of these headphones, and we found this design quite tasteful. But you can customize the them to a whole host of horrible, tacky colors if that’s your steez. I completely fell in love with the Crossfade M-100s, so much so that I’m considering replacing the cans that have been my desk-side go-tos for three years. But while the sound quality is exceptional and versatile, people looking for impeccably accurate cans will be disappointed. If you do spend the money, though, the Crossfade M-100s will bring you years of audio joy thanks to their excellent build quality. Note: We got an early production sample of these wonderful headphones. They Crossfade M-100s are available for preorder now. V-Moda says they’ll ship in time for the holidays.